Let me tell you where we are first. In a tent in a building in some field. Sorry I can’t be more specific. (Cuncani – that’s where we are! We are at 3,800m. Just had a shouting conversation with Alexis – our guide- between our tents). 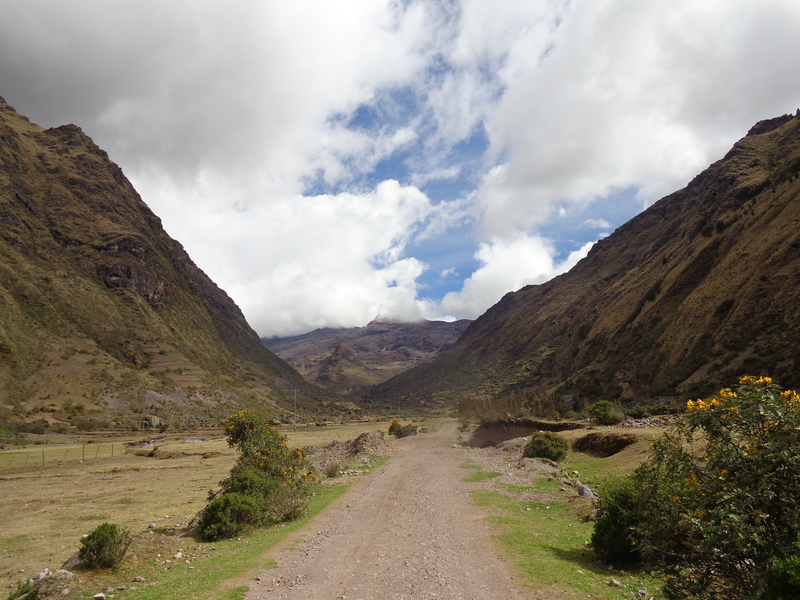 It is true what they say, the weather in the Andes is very changeable. We started out with blue skies, stopped for lunch in tents just as soft pitter patter started. Lunch was well cool. A C-section division between us and the cooks, though it did little to stop the amazing aromas reaching our side, not to mention warmth. I feel this day has been about chasing our body temperatures. One minute boiling hot, the next freezing cold. Usually it’s related to whether we are moving or static. 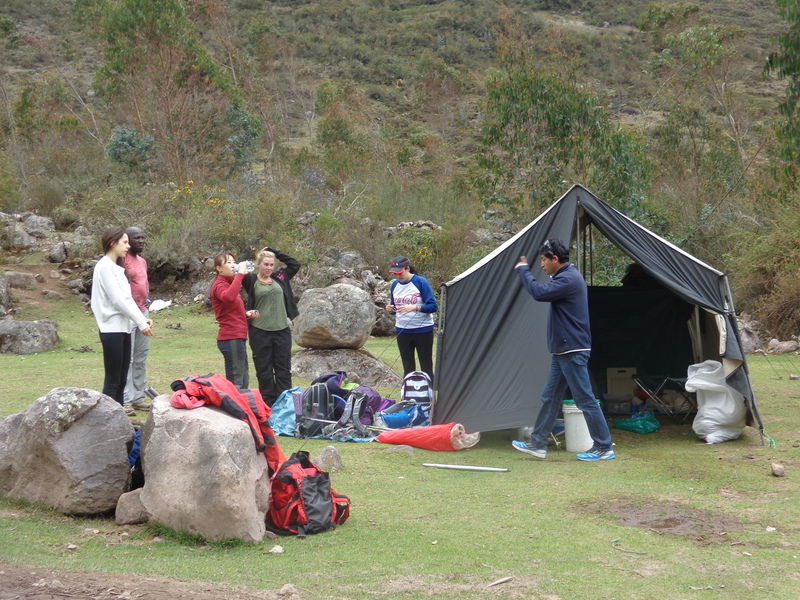 Our group for the Lares Trek, seven of us. Me, K, LR, LV, B, KY and C. The last 3 were with another group for the first day. I guess they are now with our other half. B I think is struggling, whether it’s altitude or whatever I think she found it hard. 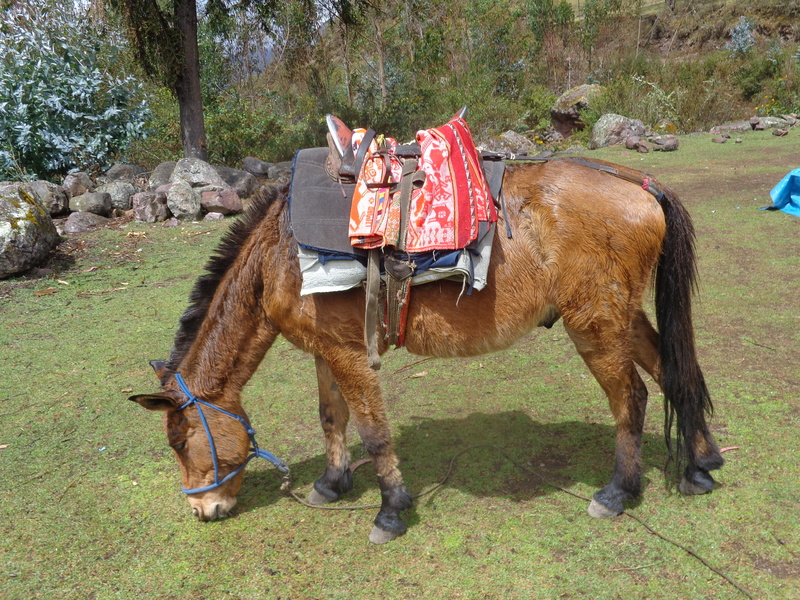 After lunch, we waited for the rain to settle and then set off at a reasonable uphill pace in the sun. It was pretty spectacular actually, lovely walking along the constant sound of the river (another glacial melt) with awesome scenery all around. Until…the downpour. It started off light and then built up momentum. And as I write now, trying to warm myself from the worst kind of cold – wet and cold – it’s comforting to hear the hammering of rain somewhere outside on steel corrugated sheets. My tent mate is sleeping, but others are having whispered conversations. And all the while, music. 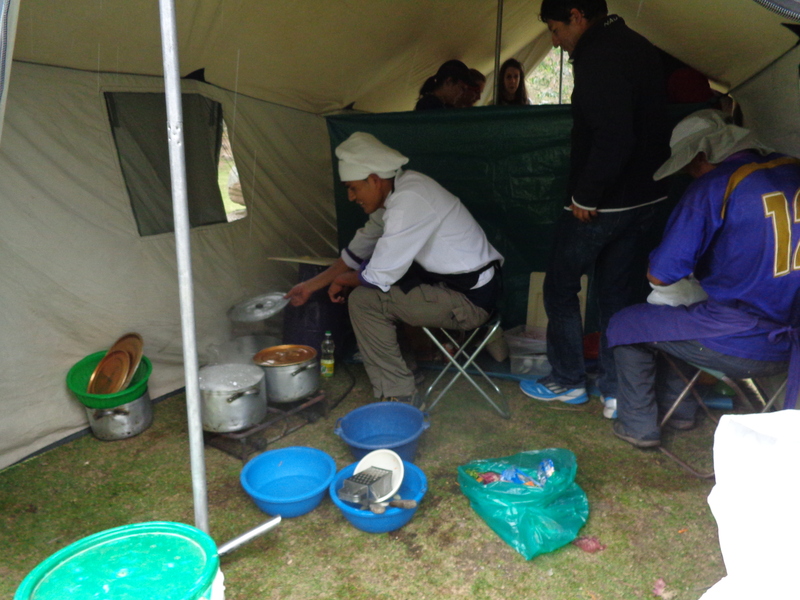 Peruvian music played by our many band of cooks and helpers to lift our, and their, spirits I guess. You can hear them giving and taking orders and all the while the chopping and cutting and gas stove noises indicating dinner is near. I know sleeping in a tent in a building is hardly battling the forces, but I’ll tell you what, I’m very grateful. Headache starting. Only drank 1 1/2 L. No wonder my bag was still so heavy, 2L I brought! Need to get a wiggle on. Thank god for dry bags, shelter, down jackets and gloves. Not to mention base layers (pyjamas) and air mattresses. And above all, my wonderful 4 season sleeping bag. I feel like we are old friends, and yes, my clothes for tomorrow are already at the bottom of my bag. Contemplating Diamox tomorrow. Will see how the night goes. Sometimes, the passage itself will do. Today is definitely one of those days. Reading back, it is the description of smells and sounds that evoke the clarity of my memories. I don’t even really need to close my eyes to bring myself back to that bone chilling, skin soaking race to shelter. And that smell of wet grass, fresher than that description justifies. (Think dewdrops and you’re somewhere close). 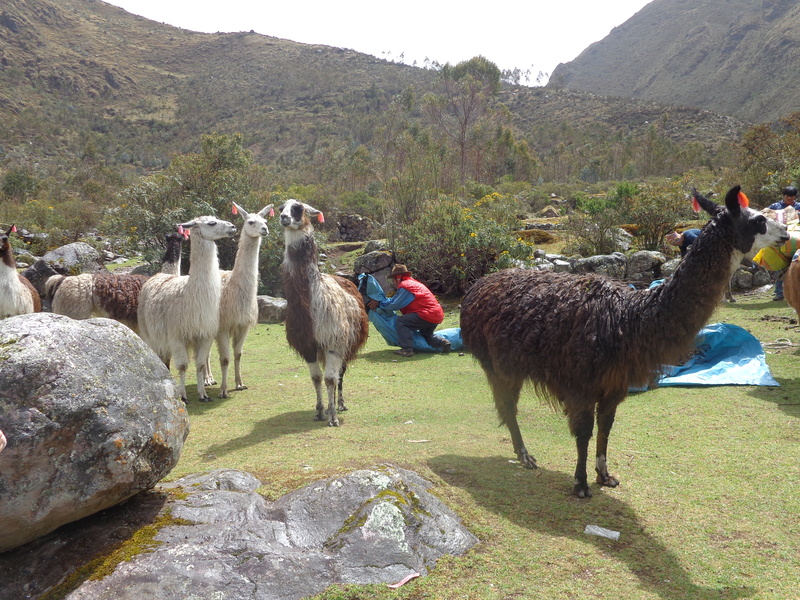 The llamas and mules chilling by our lunch time tent, grazing and feasting in their own way. I did not like the C-section division. It bothered me. Why should we be divided? How am I supposed to learn your name if I cannot even see over the screen?! But mmm, the smells in that tent were unparalleled. 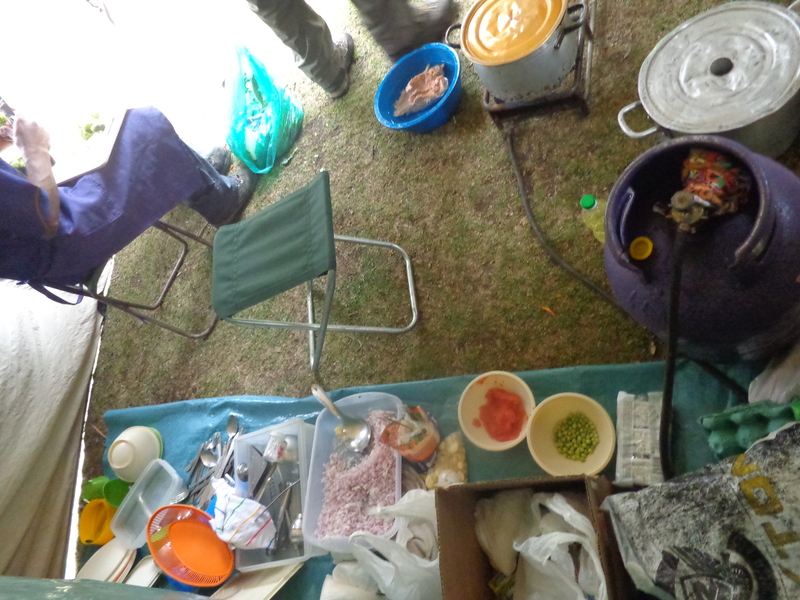 How on earth did they cook such delicious meals in such basic conditions?! I cannot even do half as good a job in my own kitchen, and I like to think I could rustle up a meal or two by now. My favourite part of that evening was how much like the Himalayas it felt that day. Isolated. Unforgiving. It was us and not mother nature that had to compromise. Setting up tent outside would have meant camping in a swamp, tents and gear slipping and sliding all over the place. 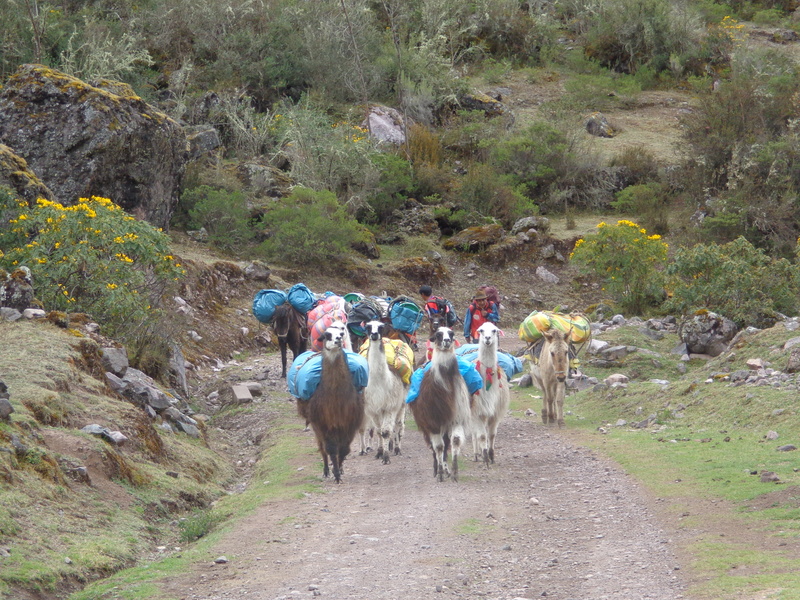 We were lucky to be trekking off season and hence were the only group in the vicinity. We were saved by the concrete block. Our first set of outside toilets and showers. Head torches and handheld tissues at the ready. 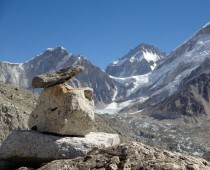 Yes, it was very similar to Everest in that way. Metallic tasting hot chocolates in plastic mugs. 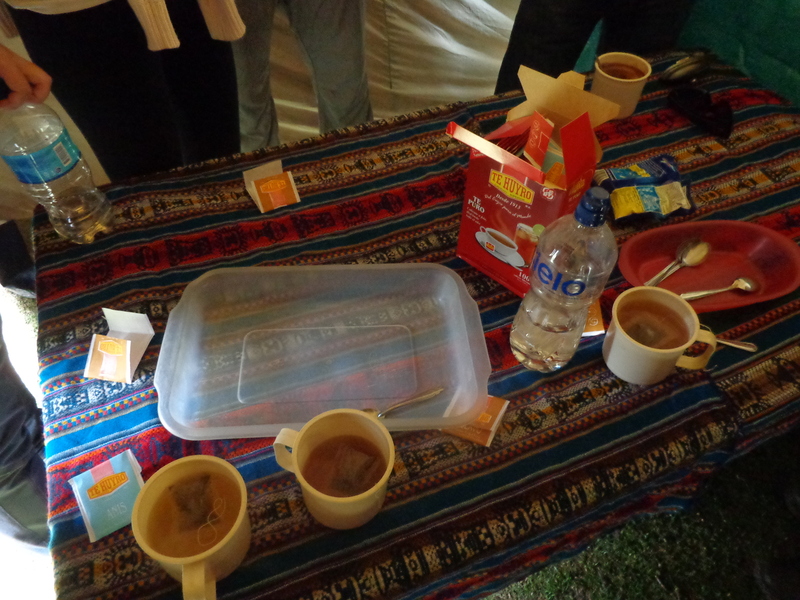 Variations of coca tea. What would keep us warm? 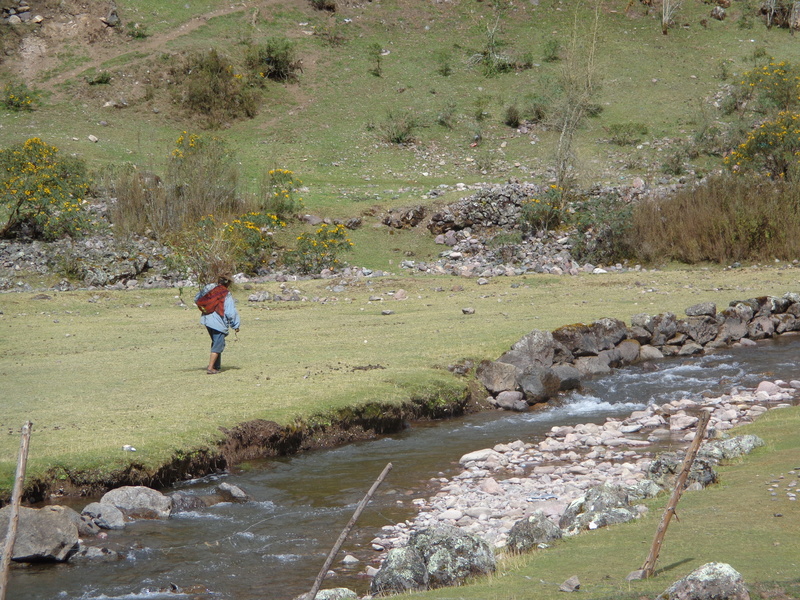 What would help fight the increasing altitude sickness? What would fill us up? It could have been better, but then again, it could have been much much worse. And for that, I was grateful.